Police in Anchorage, Alaska, are on the lookout for a mischievous squirrel that was caught on camera running off with an officer's doughnut. 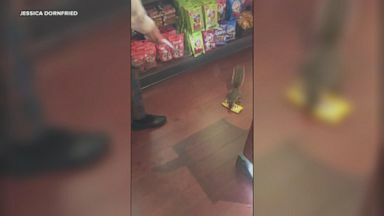 A squirrel snagged a bag of Peanut M&Ms from a Magic Kingdom store and scampered away with the bag in its mouth. 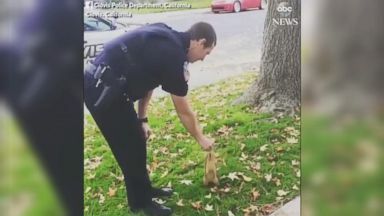 The officer in Clovis, California, celebrated Squirrel Appreciation Day with an act of kindness.